From all areas of the world there grows a deep interest in Buddhism. Generally speaking there are two main forms of Buddhism: Theravada and Mahayana. Sae Taw Win II is part of the Theravada branch, which is regarded as classic orthodox Buddhism. Theravadans hold the original doctrines of the Buddha ” spoken in the Pali language ” to be the most accurate record of what the Buddha said and meant. It is amazing to think that a person who lived over 2.5 millennia ago, could still be an inspiration to modern day human intelligence, introspection and feelings. The Buddha was a rare, compassionate human being. To hear his words ringing with relevance in the hearts of modern man means that he not only discovered fundamental truths, but was also a brilliant communicator. His words have survived time, translations, the great diversity of human culture, and remain remarkably reasonable and wise today. Essentially, the Buddha taught that when life is seen clearly, it is saturated with suffering; but there is a practical, intelligent way to find liberation from this misery. The path expressed by the Buddha requires personal responsibility and the desire to know what truth can be found in the great mystery of life. It uses philosophy, calmness, introspection and the development of a healthy mental attitude to achieve its goal. Of course, associating with wise people who know and practice the Buddha’s teachings is a great help. The Buddha was a man, pure and simple. At no time did Buddha ever claim to be anything more. In fact, among the founders of religions, the Buddha stands alone as the only one to have no claim on being God, an incarnation of the divine being, or to have been divinely inspired by an external mighty power. He attributed all his realization, enlightenment, attainments, understanding, insight and perfect tranquility to human endeavour and human intelligence. The central texts of Buddha’s discourses are The Four Noble Truths, which describe the nature of life and the way to end human suffering; and the Eight-Fold Path, which describes the method used to elimate suffering. We have provided these doctrines on our Selected Texts pages; but first, we invite you to go to the next page which tells the story of Buddha’s life . 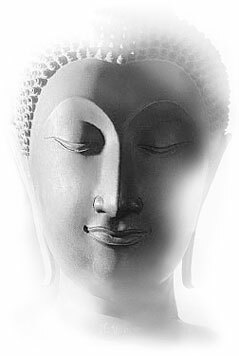 The Buddha was born as Siddhattha Gotama (or Siddhartha Gautama in Sanskrit) 2,600 years ago in north India. He was a prince as his father ruled the kingdom of Sakyas (in modern Nepal). As was the custom of the time, he was married at the age of 16. The young prince and his beautiful wife lived in the lap of luxury and had every convenience at their command. In fact, the royal family was so separated from the common world of humanity, that all forms of misery were not seen in their presence. However, one day as chance would have it, Siddhattha suddenly was confronted with the reality of life and the suffering of mankind. This experience shook him to the roots of his being. At the age of 29, soon after the birth of his only child, he left his kingdom, gave up his possessions, and went in search for a solution to human suffering. For 6 years he wandered as an ascetic in the valley of the Ganges River, meeting many spiritual teachers and studying their systems and methods. Nothing satisfied him. In fact, a few of the practices nearly cost him his life. After trying his best and getting no substantial results, Siddhattha discarded all claims of authority concerning religious revelations and traditions, and went his own way. It was thus one evening at the age of 35, seated under a bodhi tree, he went into deep contemplation. During this meditation, Siddhattha Gotama realized the highest enlightenment, and discovered the fundamental truths of human suffering and the Middle Path that leads to freedom from misery. After enlightenment, Siddhattha became the Buddha (the Enlightened One), and delivered his first sermon to five ascetics, his old friends, in Deer Park near Benares. From that day on, for 45 years, he taught the Way to all classes of people “kings and beggars, women and men, young and old, bankers and robbers” anyone and all who were ready to understand and follow it. The Buddha passed away at the age of 80. He was a master of communication and full of compassion. The Buddha had the ability to penetrate into the mystery of life, and express his insights most effectively. He was so successful as a teacher, possessing a rare dynamic presence, that people could not help but listen and understand his words. His power as a spiritual teacher is clearly seen in his disciples: literally thousands of his students became fully enlightened. To learn more about what the Buddha taught, please go to the next section which contains many pages of his most important sermons.